The Partnership is looking for applications from individuals who are committed to working with like-minded trustees. September 2017 - new tenant welcomed to the Water Tower building at Haltwhistle station, enabling a local business to expand. September 2017 - 2 new tenants welcomed to our flats in the Market Square. September 2017 - community asset transfer of the Hillside property completed to allow 'Young & Sweet' to expand their services for Haltwhistle and surrounding area. 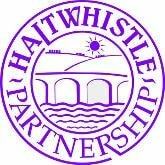 Easter 2017 - Haltwhistle Partnership launches its new website. January 2017 - Hardware House welcomes new tennant Alistair Burrowes and his Centre of Britain Army Surplus Store. We wish him every success with his relocation to Haltwhistle.